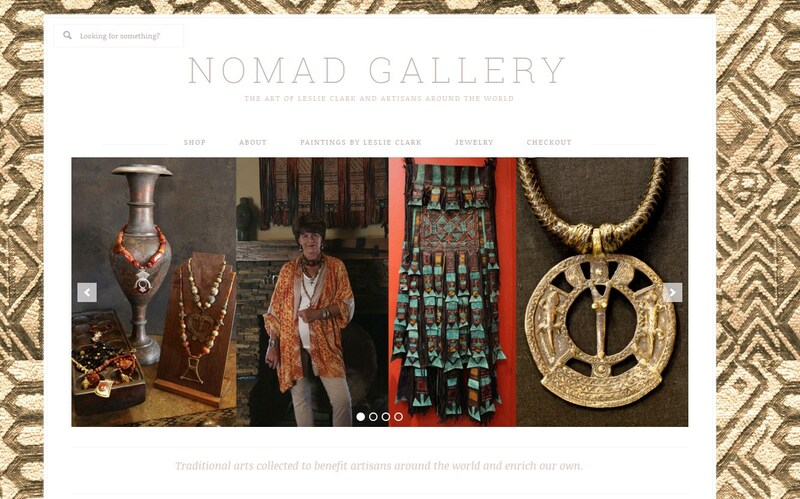 Leslie Clark is an artist and the founder of the Nomad Foundation. She graduated from George Washington University with a Masters of Fine Arts in 1984. Since that time she has traveled and painted on location the people she encounters. In 1996, she opened the Nomad Gallery in Ojai California, selling her paintings and the artifacts of tribal people in Africa. In 1997 she founded the Nomad Foundation and operated as a project within the WILD Foundation until 2007, when the Nomad foundation obtained a 501(c)3 status. She has won numerous awards for her humanitarian work including B’nai Brith, was named an honorary Rotarian and an Ojai Living Treasure. She is a founding member of the Agadez, Niger Rotary Club. She has acted as guide and expert in local cultures from 1996-2007 for tourist groups in Africa and India and film crews for National Geographic visiting Niger, Benin and Togo. In 2003 she established Nomad Adventures, Inc, a travel company specializing in Humanitarian Tours. Claire Spiegel Brian is a journalist who worked for many years as an editor and reporter for the Los Angeles Times and now freelances articles for the New York Times. She has served on the boards of various dance companies including the Joffrey Ballet and is currently on the board of the Levitt Pavilion for the Performing Arts in Pasadena which sponsors free musical concerts in Memorial Park. A California native, she is a graduate of Stanford University and Columbia University’s Graduate School of Journalism. She began her newspaper career at the New York Daily News in 1978 and after several years moved to the Los Angeles Times where she worked for 15 years as an investigative reporter or editor covering government and health care. Her articles won numerous awards from the the Greater Los Angeles Press Club and from The Times. In 1990, she was named runner-up for the Pulitzer Prize for a series of articles exposing substandard medical care at Martin Luther King Jr. Medical Center in Watts. Michael Price graduated with a business degree at American University after two years service in the US army. Employment experience includes Lobbyist for trade associations in Washington DC. He was assistant to the president and congressional and administration liason for the American Petroleum institute. Founder and president of operations of PRIMAC Courier service in New York. interior offshore minerals management and consultant to Pennzoil in offshore oil development. From 1993 -2003 he was vice president of marketing for CH& I Industries, an environmental oil packaging firm. Property Development with Lansco Properties. Served on the finance committee for the Washington Opera, and on the board of the Ojai Music Festival. A graduate of Boston University and the University of Pennsylvania Medical School Dr. Jones specializes in Obstetrics & Gynecology. She has delivered thousands of babies and performed a similar number of surgeries in the US, New Zealand, and on multiple medical missions. She has volunteered for Doctors Without Borders (MSF) in Nigeria and led missions to Niger in 2016 and 2017. She is carrying on the work of her predecessor, Dr. Robert Skankey, in providing oversight of the Nomad Foundation’s medical clinic and will lead the team performing the training of traditional birth attendants. Following graduation from Stanford University with a Bachelor of Science degree, he attended Northwestern University Medical School Chicago Illinois and received an MD degree in 1956. After a one year Internship at Los Angeles County General Hospital in Los Angeles, California, he went into medical practice with his father in San Bruno, California for 5 years. He then returned to train for four years in an Obstetrics/Gynecology Residency at University of California, San Francisco. He subsequently spent the next 30 years practicing medicine in Ojai, delivering over 3,500 babies along with many gynecologic surgical procedures in his career. He has served with the Ojai Valley Community Hospital as Chief of Staff and a term on the governing board. He has worked with various local service groups to support youth in Ojai Valley, as a member of the BSA he served as Cub Scout Leader, Explorer Leader and Scoutmaster. He has been a mentor in the leadership program of Ojai Valley Youth Foundation and spent a number of years serving in the Rotary Club of Ojai where he is at present the International Service Committee Director. He received the Dr John Padilla “Humanitarian of the Year” for 2008-2009 by RI District 5240. He is also serving on the Ojai Homeless Committee. He has done medical missions in Bolivia with the Andean Children Foundation, in Tonga with Deseret Foundation, along the Amazon in Brazil, with Indians at Tuba City Arizona, Nicaragua, the Island of Roatan Honduras, in Ghana with Street girls Aid, Mali with the Ouelessebougou-Utah Alliance, Ethiopia with the Addis Ababa Fistula Hospital, has spent a total of 4 years with full time medical responsibility over 2,000 LDS missionaries in Brazil, then the eastern and finally northwestern United States. He developed the Tamesna medical clinic, and midwife training program in his five missions to Niger. Kay Bliss is a Licensed Clinical Social Worker with a private psychotherapy practice in Ojai and Ventura. She graduated from Pomona College and received her Master’s degree in Social Work at University of Southern California. Prior to moving to Ojai in 1989, Kay was the founding director of the Women and Family Center at Queen of the Valley Hospital in West Covina, was a medical social worker in neonatal intensive care units, and also worked with obstetric, oncology, and cardiac rehabilitation patients. Kay joined the Rotary Club of Ojai in 2001, and was club president in 2006-2007. She participated in a Polio Immunization Day in Ghana in 2001, and made two return trips to plan matching grant projects to aid pregnant street girls in Accra, Ghana. In 2005 Kay represented Rotary International on a joint panel presentation at the annual conference of the UN Commission on the Status of Women in New York. 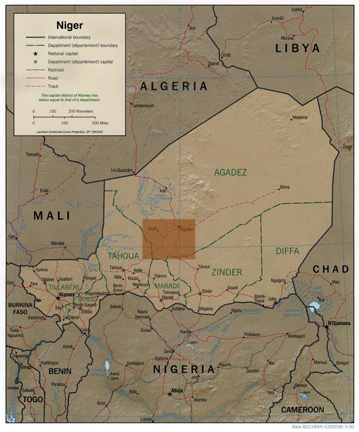 She toured Nomad Foundation projects in Niger in 2007. Barbara Bowman worked in San Diego for two tourist newspapers while attending San Diego State, travelled California, sold advertising, wrote feature articles, and edited the papers. She graduated with a BA and moved to Los Angeles to work in marketing and advertising for a nationally distributed mens clothing line. She was hired by KRLA as one of first women to sell radio time in Los Angeles. Hired to market Italian shoes, whe quickly became the shoe designer for 5 different factories and opened mens and womens retail outlets in Los Angeles, West Hollywood, and Beverly Hills and retail stores in Ojai in the early 80’s. When her husband Sol de la Torre Bueno opened a mens and womens clothing store on Ojai Ave. called True West, clothing became the emphasis of the three stores. Sol sold his retail store in 2003 and recently Barbara and Sol have developed a high end T-shirt line out of Peru which is being marketed nationally. Barbara accompanied Leslie to Niger in 2003 for 6 weeks with the purpose of setting up a womens embroidery co-op. The project was successful, and the women did an outstanding job of embroidering their motifs with preselected thread colors on linen provided to them. She is presently working on ideas that can be marketed using the nomadic women’s embroidery. Born in Southern California and attended Abilene Christian College in Texas and transferred Pepperdine College with an MA in psychology in 1962 and went to work for North American Aviation assigned to Apollo Engineering at Space Division in Downey. He worked as a Human Factors Engineer focusing on flight crew procedures and ground test procedures involving equipment the crew had to use in flight. Worked as a school psychologist for the Orange Unified School District and the Oxnard Elementary School District finishing as Manager of Special Education for the District. He has been an active member of the Sheriff’s Search and Rescue Upper Ojai Team for 35 years. Joined the Experimental Aviation Association in Camarillo as part of a team producing the Camarillo Air Show. In 1992 he built a two-place airplane from a kit (a Kitfox); yes, flew it! He has been a member of the Rotary Club of Ojai for 12 years, during that time participating in a number of community projects. The most captivating project, however, was a trip to Niger with the Nomad Foundation to visit a number of projects with which the Club was involved. He and his wife Judie were both on that trip and were profoundly moved by the people there and the work and philosophy of Leslie Clark and the Nomad Foundation and as since made two other volunteer visits to the projects in Niger. Tom Krause is an independent writer, speaker and consultant on issues related to organizational leadership and culture. He founded Behavioral Science Technology,(BST) in 1979 and was it’s chairman until it was acquired by DEKRA in 2012. During this time Tom worked on hundreds of organizational projects in 70 countries. Following the Columbia space shuttle tragedy, BST was asked to design a safety culture change initiative for NASA. Tom led the BST team and personally coached NASA’s top leaders. He has written four books and more than 50 articles on leadership and culture change, particularly in the service of safety improvement. Tom received his Masters degree in liberal arts from St. John’s College and his doctorate in psychology from the University of California, Irvine. He is a licensed clinical psychologist. He currently serves on the Board of Visitors and Governors of St. John’s College, the Board of Directors for Thomas Aquinas College, and the Committee on Quality Assurance and Patient Safety at Community Memorial Hospital System in Ventura, California. He is president of the Agora Foundation and a member of the Libbey Bowl Foundation. Tom is currently chairing a committee organizing a Chautauqua on The Future of Food to be held in Libbey Bowl in October, 2013. He is also working on a new book and numerous articles. In 1982, upon completion of his Bachelor of Arts Degree at California State University at Northridge, Strong opened his business and focused primarily on graphic design for advertising campaigns and collateral sales materials. Two years later, Strong provided services as a marketing and advertising consultant, while continuing his graphic design work. By 1987, Strong & Associates expanded to a full service marketing, advertising and public relations agency. Strong’s background in marketing led to several publishing projects ranging from the health care industry to chambers of commerce. He is listed in “Who’s Who in California” for his publication “The Health Care Guide.” In conjunction with Dole Food Company, Strong published “Today’s Health: A Guide to Healthy Living.” He also created a program guide for his local YMCA ­ “Your YMCA Today”, which is now used by numerous YMCAs throughout the nation. As an active community member, Strong is a 14-year member, current Board Director and twice named Rotarian of the Year (1998 & 2006) for the Rotary Club of Westlake Village Sunrise. He is a member of the Board of Managers for the Conejo Valley YMCA (15years), a past chairman and life member of the local Chamber of Commerce Ambassadors (13 years), and a past board member for Senior Concerns. Strong serves on the corporate marketing committee for the Southeast Ventura County YMCA, has completed three consecutive years as chairman of a local School Site Council, is a past chairman for the local Health Committee and Health Fair (three years), and the Advertising and Sponsorship Chairman for Conejo Valley Days since 1988. He is currently the chairman for Adopt A Future, Inc., a non-profit foundation raising funds for a local First 5 program, a board member of the My Stuff Bags Foundation, and a former member of AWARE, the fundraising arm of the Central Coast Chapter of the Alzheimer’s Association. Frank Verrastro currently serves as senior fellow and director of the CSIS Energy and National Security Program. His energy-related experience includes over 25 years in energy policy and project management positions in both the U.S. government and the private sector. Government service includes staff positions in the White House (Energy Policy and Planning Staff) and the Departments of Interior and Energy, including serving as deputy assistant secretary for international energy resources. In the private sector, Mr. Verrastro has served as director of refinery policy and crude oil planning for TOSCO (formerly the nation’s largest independent refiner) and more recently as senior vice president for Pennzoil. Responsibilities at Pennzoil included government relations activity, both domestic and international; corporate planning, international risk assessment and negotiations. In addition, he served on the company’s management and operating committees as well as the Environmental Safety and Health Leadership Council. Mr. Verrastro holds a B.S. in biology/chemistry from Fairfield University, a master’s degree from Harvard University, and he completed the executive management program at the Yale University’s Graduate School of Business and Management. He has been an adjunct professor at the Elliott School of International Affairs at George Washington University and at the University of Maryland and is a frequent presenter at the Foreign Policy Institute of the US Department of State. He currently serves on the Advisory Board for the National Renewable Fuels Laboratory in Golden, Colorado.